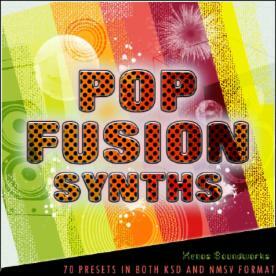 'Pop Fusion Synths' contains 70 premium quality presets for Native Instruments Massive, fusing various elements of urban and house music together like many of today's commercial pop hits. Influences include Ty Dolla $ign, Rihanna, Chris Brown, Drake and more. This stylistically versatile sonic workhorse will find frequent use in a wide variety of your projects. This collection is similar in concept to 'Blazing Club Synths', but with more emphasis on the urban side of things, with uptempo plucks, singing leads, heavy subs, snappy bass plucks and soulful pads. - Both KSD and NMSV formats are included. - All 8 Macros assigned on each patch for added expression and variation. - Expressive velocity settings on each patch for dynamic playing.